Textile finisher from Germany – Wailua e.K. This is our production area – our aorta! This is where all the threads come together. 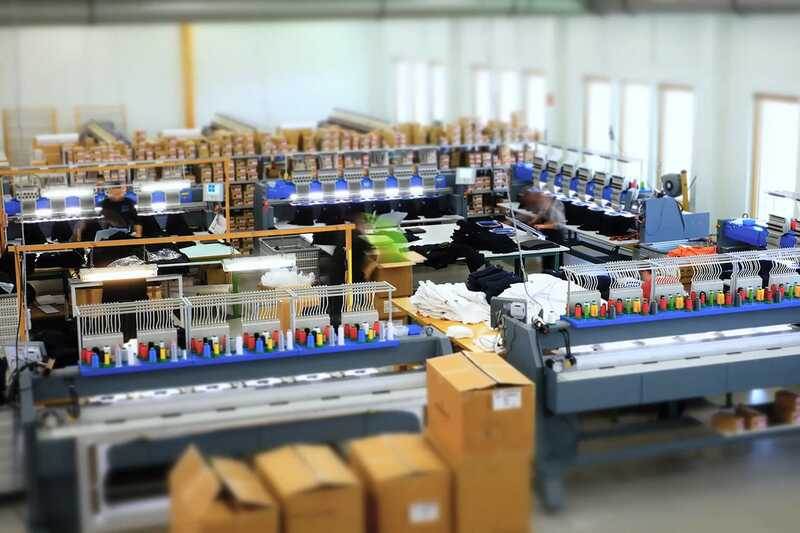 It would be very quiet here without our amazing team operating the embroidery machines daily. During two shifts, the most individual products are processed to match every customers needs. Functionality and protection – when choosing your work wear every detail matters. At Wailua one will find a wide selection of work and business wear concerning all industries. Professional team outfits are a key element of corporate identity. We offer a company dress suiting your needs. We will work out a concept for your school or teamwear and support you from the logo creation to your individual design. To design the ordering process as easy as possible we offer you an option of having an individual online shop for your attire. We can offer 30 years of expertise concerning embroideries – they are qualitative, durable and individually designed for every costumer. We are also happy to offer other decorative apparel services such as the common types of shirt prints. The “Aloha Spirit“ stands for harmony, helpfulness and hospitality. It is more than a greeting, it is a way of life which we have adopted as our company philosophy.